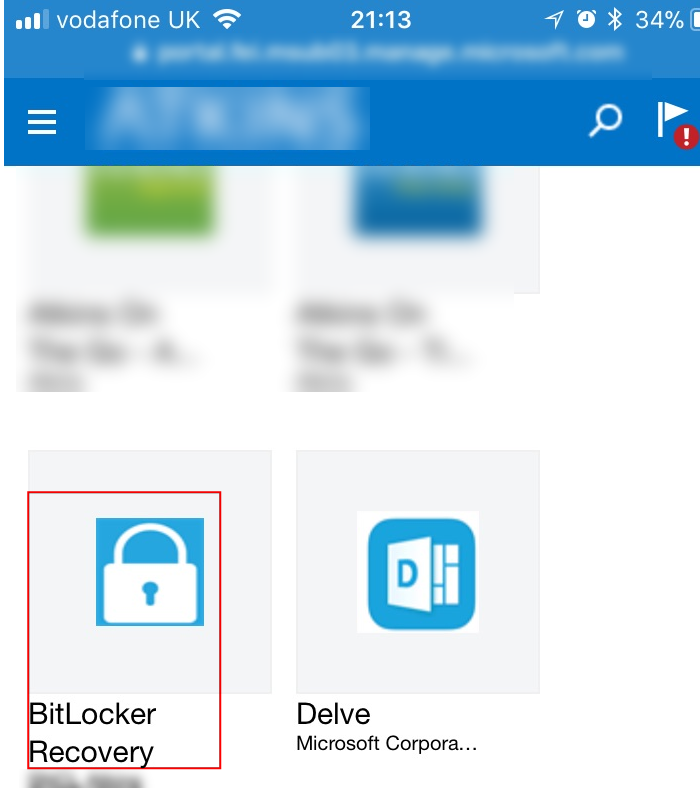 In this post we will empower users via the Azure AD Proxy by enabling them to obtain their BitLocker recovery key without calling IT for help. 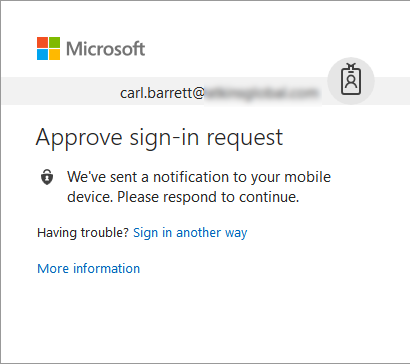 We will also see how easy it is to protect access to the self-service site using Conditional Access and also how to publish the application to enrolled devices using Intune, which will make the self-service site very accessible and reduce helpdesk calls even further. 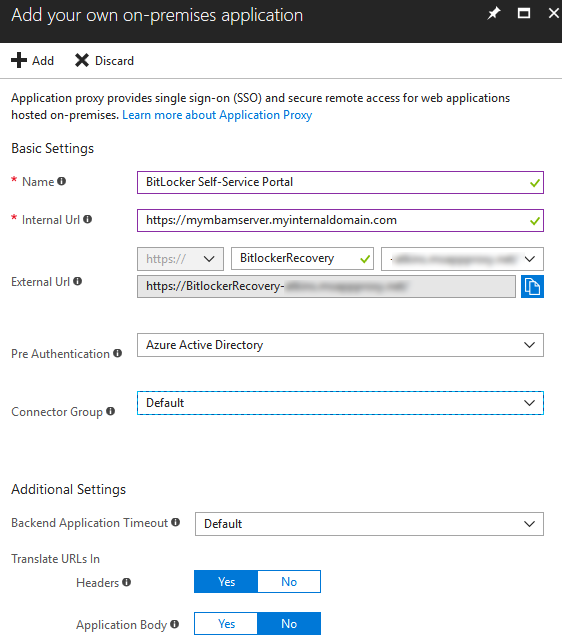 This post will provide a good example of a number of the Azure AD Premium features so even if you don’t use MBAM and the self-service website maybe you can envisage a service that would benefit from being published securely to your end users in the same way. 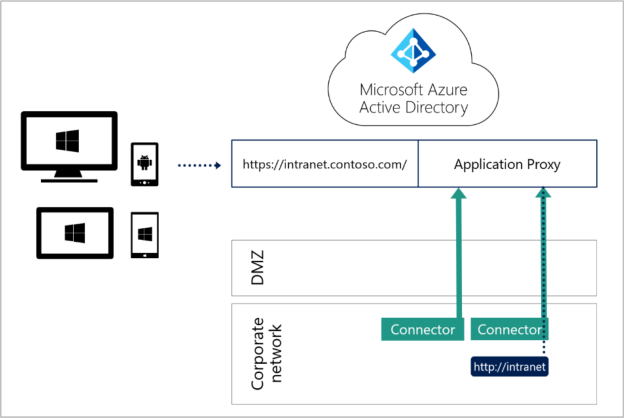 Paul Jones from Microsoft did create a great post on this topic back in 2015 but I would like to show the configuration using the Azure portal and also to go further and use AAD Conditional Access and Intune to protect and distribute the application to end users. 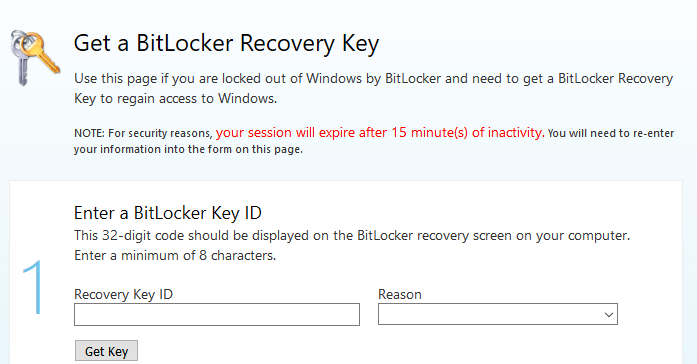 I am assuming at this point that you already have the self-service site for BitLocker created…you can read more on that here if you still need to do that part. The installation requires Azure Global Admin credentials when prompted. It’s also worth mentioning that some security hardening settings may cause the credential prompt to hang – in our case we find it easier to exclude the connector server from most of the domain GPO until after the connector has been installed and set up. 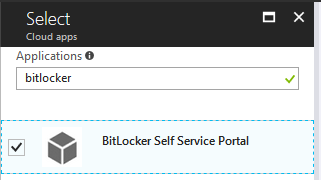 Click on add and then select the SPN of the internal BitLocker Self-Service portal. 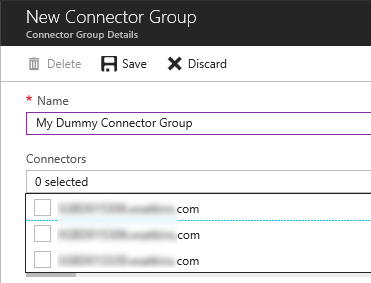 An optional but useful step is to create a connector group for the service you are providing. This helps to organise connectors logically for each service, provide high-availability/resilience and also ensure any important services can have dedicated connector servers. Securing the application is straightforward. 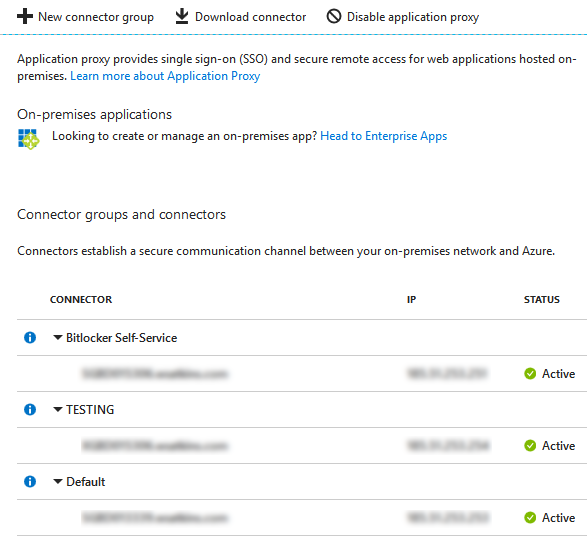 Just open the Azure Portal and configure a CA policy that meets your specific requirements. 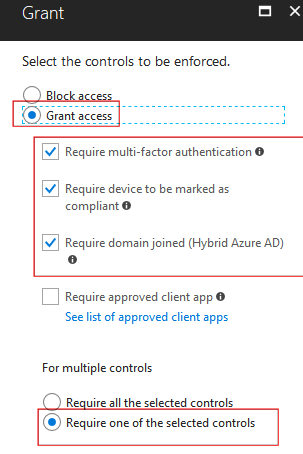 In the “Access Controls > Grant section” ensure you have granted access to the app and have selected the conditions required for successful access. 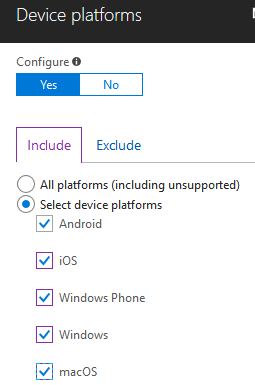 Ensure that “Require one of the selected controls” is selected also. Once I have satisfied the MFA challenge I’m taken to the Self-Service portal..
Access via my enrolled phone, or hybrid joined company computer is seamless, i.e. there is no MFA challenge as long as I meet one of the other CA conditions. We can expect that aside from a (currently un-bootable) corporate laptop or tablet, most employees will also have a mobile phone with them. To help them access the self-service portal we can provide them with a simple weblink that we can deploy via Intune. Save the configuration and then choose the assignment group – again I have made this available to all users but I recommend you test the deployment first…perhaps you prefer to set a “required” deployment for your users but remember doing this means they cannot delete the weblink on their iOS device. 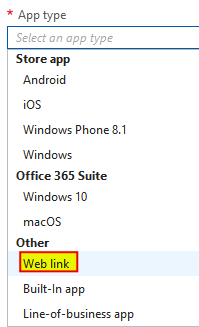 Upon installation I can click on the link, provide credentials and be taken to the internal web page via the Application Proxy. If I’m not enrolled I get an MFA challenge. One thing to note is weblinks are less convenient on Android…here you will need to add the Company Portal widget in order to see your weblink. 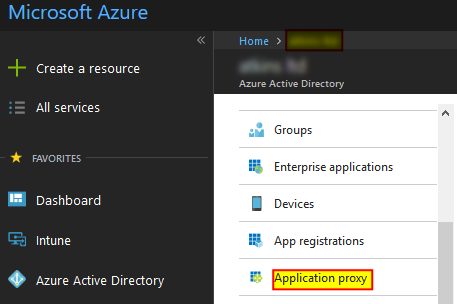 Although this appears to be a reasonably long post it’s really not difficult at all to set up the AAD Application Proxy and provide your users with a convenient and secure method to access your on-premises web services…I hope this post will help to get someone started with the excellent functionality the Azure Application Proxy offers. 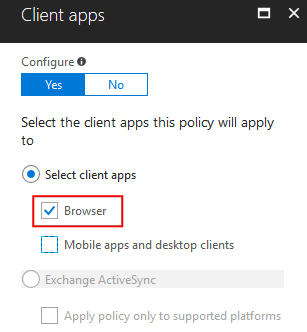 Further reading: Check out Oliver’s excellent post on the App Proxy, Conditional Access and the Managed browser for more insights. Very nice walkthrough with a good focus on the details. Good work! 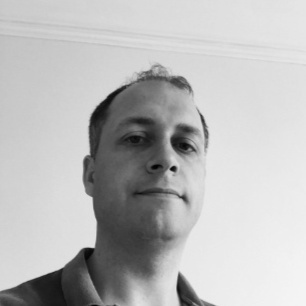 I'm a technical architect at a global design and engineering consultancy here in the UK. 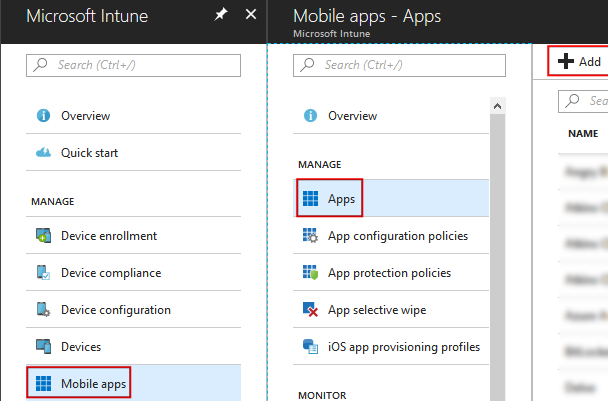 My focus is on device configuration, automation and modern management using Intune.